Oholiab Mulugeta has been through a lot in his young life. Oholiab was born in 2006 and shortly after his birth he was diagnosed with Disseminated Tuberculosis. Disseminated Tuberculosis, also known as Military Tuberculosis, is a form of tuberculosis that is characterized by a wide dissemination into the human body and by the tiny size of the lesions. Oholiab has been consistently in and out of the hospital since he was diagnosed and has had six operations due to the effects that the tuberculosis had on his body; four operations on his legs and two operations on his spine. He has also spent six months in a body cast. Oholiab is able to walk although he has a significant limp and much pain. He tires easily and his condition does not improve. Many of Oholiab’s developmental milestones have been delayed and he is in need of continued treatment for his legs and spine to enable him to walk and get around like a normal child without pain. The last several years have been difficult for his family with uncountable trips to the hospital, many nights of worry and heartbreak for their son who doesn’t understand why he isn’t like other children and a large sum of medical bills they can never hope to repay. Despite his difficult life, Oholiab has taught his family and many others who have heard his story, a thing or two about hope, love and determination. Although, the family’s income of 1,500 birr (less than $80 USD) a month is a little bit better than some families, it is certainly difficult for them to put food on their table while paying medical bills. 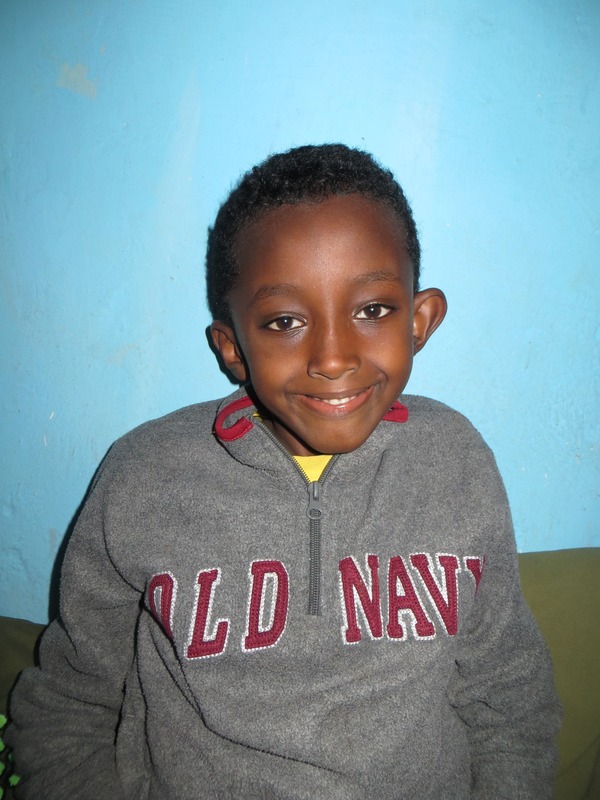 Oholiab loves to play hide and seek with his best friend Dawit and in the future he says he wants to be a pilot or a doctor. Oholiab is in need of a full $90/month sponsorship to be added to the BCI Sponsorship Program so that he may begin receiving support. Please call, email or go online today to set up your sponsorship!